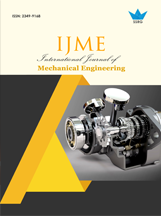 Iberahin Jusoh, "SCF Analysis of Tubular K-Joint under Compressive and Tensile Loads" SSRG International Journal of Mechanical Engineering 5.10 (2018): 1-4. Iberahin Jusoh,(2018). SCF Analysis of Tubular K-Joint under Compressive and Tensile Loads. SSRG International Journal of Mechanical Engineering 5(10), 1-4. Joint connections are widely used in assembly of two or more structural elements. For a simple tubular K-joint, two main components are there namely chord and bracing. Local stress in tubular joint is extremely complex which involve punching shear, shell bending and membrane stress. It is the chord that that transfer load from one brace member to another and at the same time sustains the severest localized shell bending stresses in the process. In this study tubular gap K-joint under compressive and tensile loads were investigated. Case study C1 is for compressive loading acting on brace B of the model while Case study CT2 is for compressive load on brace B and tensile load on brace A. Results shows that the highest value of Stress Concentration Factor (SCF) occurred when the brace-to-chord thickness ratio =0.6 and brace-to-chord diameter ratio, =0.9 with a magnitude of 6.1295. This is an increment of about 24% for the same loading on K-joint with =0.7. International Organization for Standardization (2001). Static Strength of High Strength Steel Tubular Joints. Maidenhead, England, ISO/CD 19902. Graff, W. J. (1981). 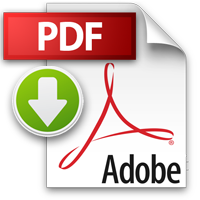 Introduction to Offshore Structures: Design Fabrication Installation. Houston, Texas: Gulf Publishing Company. 149-200. Budynas, R. G. and Nisbett, J. K. (2011). Shigley’s Mechanical Engineering Design. 9th Ed., McGraw-Hill. 217-218. Kuang, J. G., Potvin, A. B., Leick, R. D. and Kahlich, J. L. (1977). Stress Concentration in Tubular Joints. Society of Petroleum Engineers Journal. 287-299.